Do you have any idea what could be growing in your makeup brush? 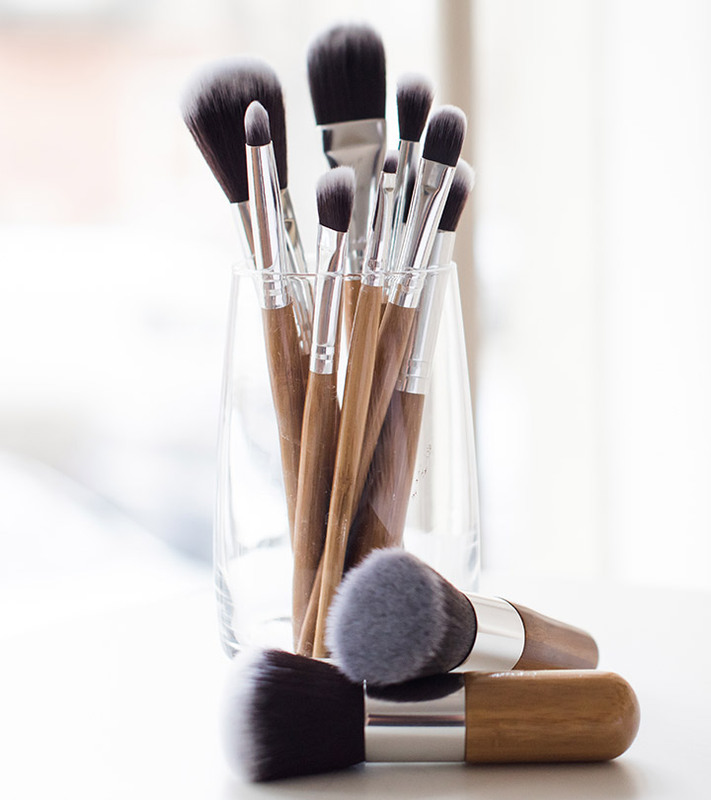 So, be responsible and read on to learn how to clean your makeup brushes. Primarily, there are two methods that are popularly used to clean brushes. Let’s dive right in! This method can be used when you are short on time. It’s the easiest and quickest option. We usually run out of available brushes when it comes to eye makeup. A clean brush is always preferable for blending. These kinds of brushes can easily be spot cleaned. What To Use To Clean Makeup Brushes? Makeup Brush Cleaner – ELF, Clinique, and MAC are all excellent choices. 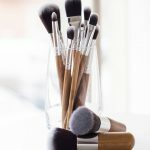 How To Spot Clean Makeup Brushes With A Brush Cleaner? 1. Pick Your Product: First off, you will need a makeup brush cleaner. 2. 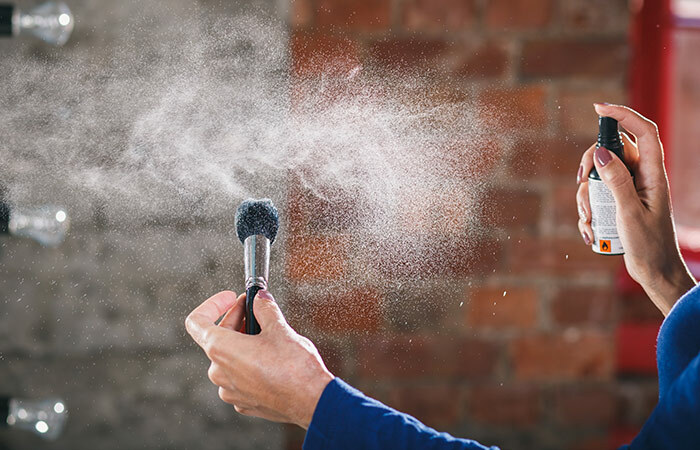 Wet Your Brushes: Spray the product onto the brush, enough to make it damp. 3. Use A Paper Towel: Gently swirl the brush on a paper towel till the product is gone from the brush. 4. Repeat The Steps: Wipe off any excess dampness and repeat with the rest of the brushes. Next, we move onto deep cleaning! You cannot get away with just spot cleaning your brushes. Even if you try and spot clean a foundation brush, there are still traces found. Deep cleaning is a must! This is the only way to make sure that your brushes are free from any bacteria. How To Deep Clean Makeup Brushes With Baby Shampoo Or Dish Soap? 1. 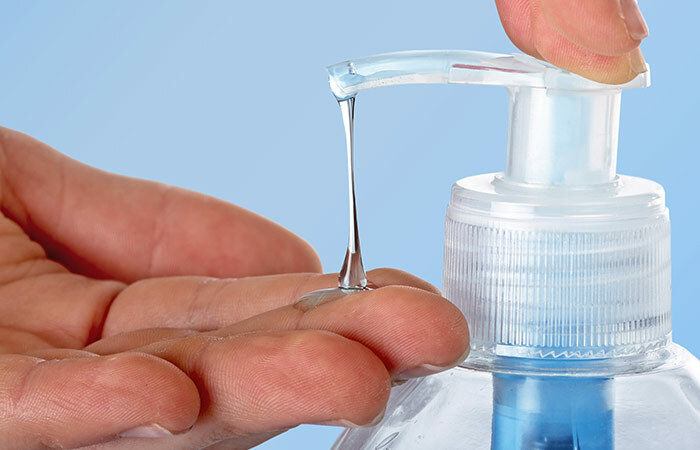 Pick Your Product : You can either squeeze some of the shampoo/soap onto your hand or the glove. You may add some vinegar if you like. I know a lot of people use it, but I personally don’t. If you have a lot of brushes, it’s better to buy a silicon cleaning glove, as using your hands can make them really dry. Add a drop of olive oil to the soap or shampoo. This helps in keeping the brushes moisturized and strong. 2. Pick Your Choice Of Cleaning Surface: This can be your hand or a silicon mat/glove. Swirl your brush gently where the shampoo was squeezed. 3. 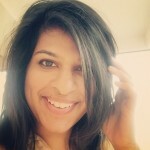 Gently Rinse: Once you’re sure that all traces of makeup from the brush are gone, place the brush under a running tap. Make sure the pressure of the tap isn’t too much, or the temperature isn’t too hot, as this can damage the bristles of the brushes. 4. Clean Them With A Paper Towel: Squeeze out any excess water from the brushes, dry them with a paper towel, and lay them down to dry. 5. Let It Dry: Leave them to dry, preferably overnight. 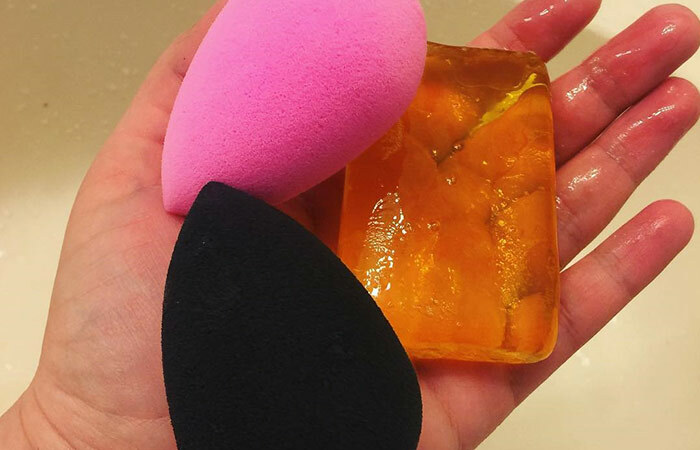 How To Deep Clean Makeup Sponges? Do not neglect your beauty blenders! They require a thorough cleaning as well! This is where the soap bar comes in. 1. Pick Your Bar Of Soap: It’s easier to use a soap bar when cleaning your beauty blenders. 2. Pick Your Choice Of Cleaning Surface: Swirl the sponge on the bar to get the soap and then swirl it over the glove or your hand. 3. Rinse: Run it under the tap and check to see if all the makeup is gone. 4. Repeat: Repeat the process if required. 5. Leave To Dry: Squeeze gently till most of the water gets out and leave it overnight to dry. Excellent question! And the answer to that should be, probably every day, if we’re thinking about hygiene and skin. However, it’s not quite possible to do that because of our busy schedules, so a decent and reasonable time frame should be once a week. You never know what kind of bacteria is growing on your brushes. It’s practically a breeding ground! If you have extremely sensitive skin, it’s highly recommended that either you use a different brush every day, or that you at least spot clean them. Let’s look at some tips and precautions that will make your life easier when it comes to brush cleaning. If you have acne prone or sensitive skin, please (and I can’t stress this point enough) use new brushes. Keep two sets of brushes so that in case you need a backup brush, they’re clean and ready to use. While letting your brushes dry, don’t leave them standing upwards. If you do this, the water may drip downwards to where the glue holds the bristle and causes the brush to shed faster. Don’t put off deep cleaning for more than a few days. Try and set some time aside every weekend for cleaning your brushes. Think of it as a stress buster! Put on some music while you clean! Well, I hope you understand how important it is to clean your brushes on a regular basis. You wouldn’t want a little family living in your brush now, would you? I hope you’re off cleaning your brushes right NOW. I definitely know what I’m doing the first thing after I get home today! DIY – How To Make Makeup Brush Storage Case At Home?